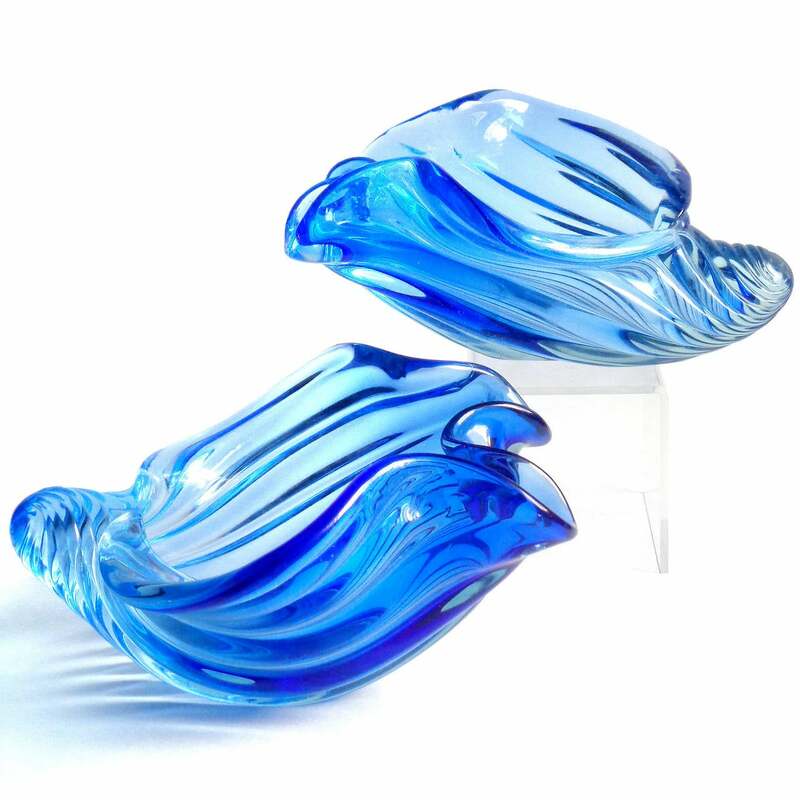 This Barbini Murano Sommerso Cobalt Blue Italian Art Glass Seashell Sculptures Bowls is no longer available. 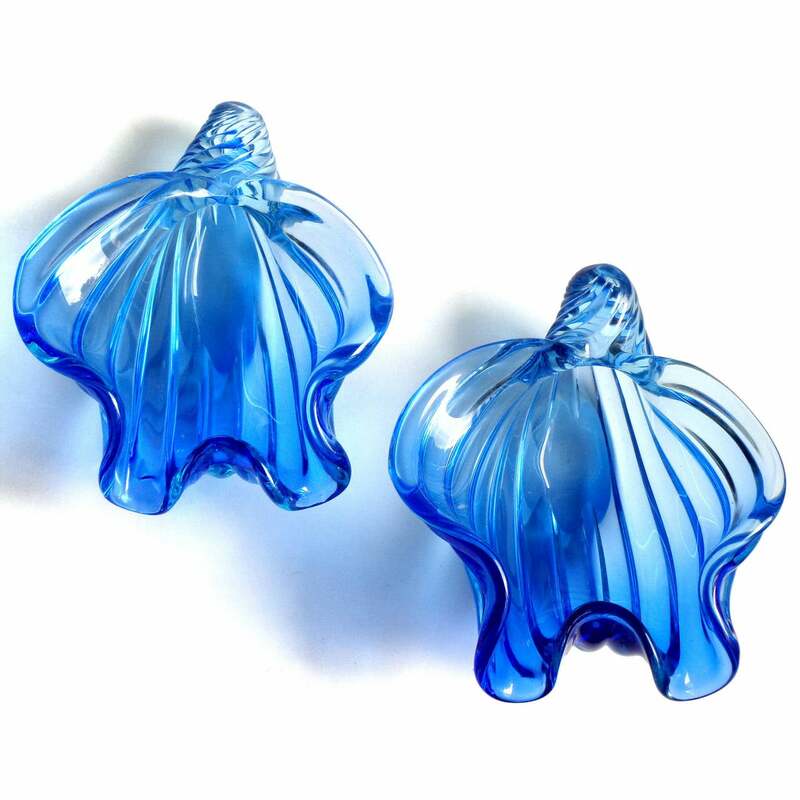 Gorgeous set of two Murano hand blown Sommerso cobalt blue Italian art glass seashell sculptural bowls. Documented to Alfredo Barbini, circa 1950s-1960s. One is a little larger than the other. 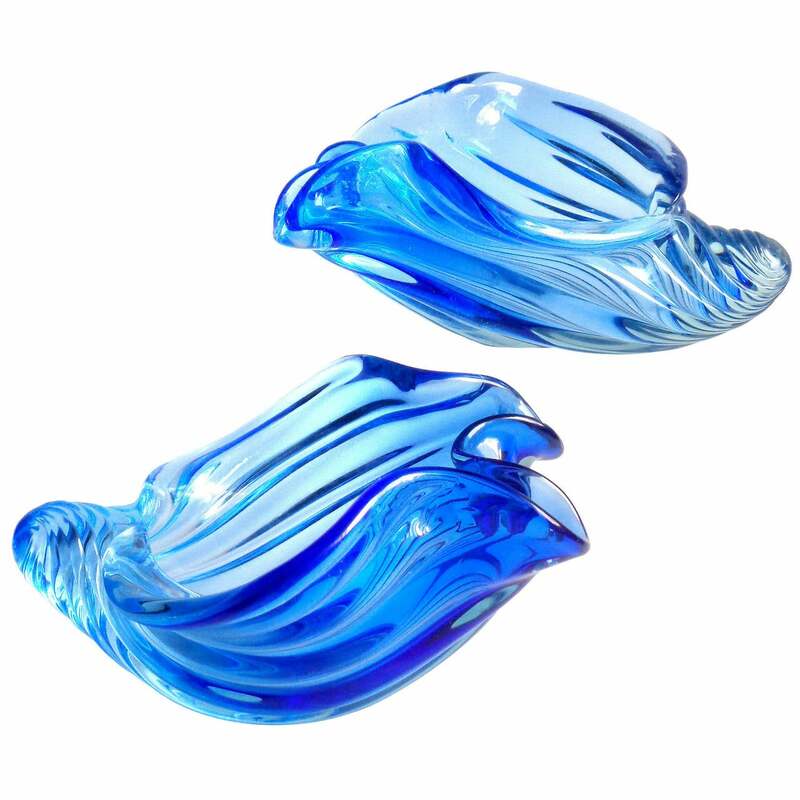 Perfect for any Marine or Ocean themed room. Similar and larger shell centerpieces can be found in my gallery. 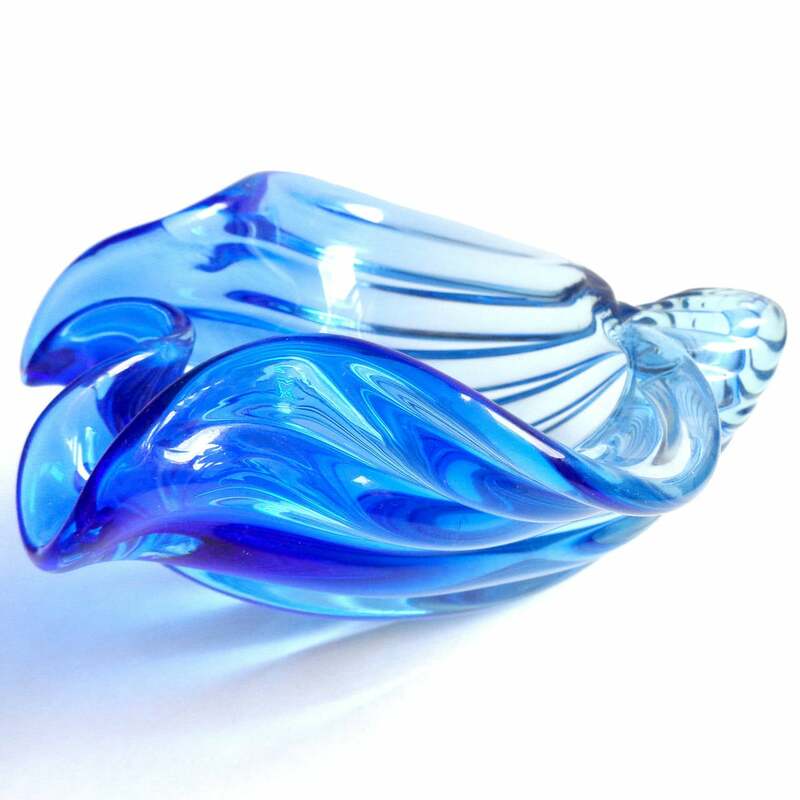 Beautiful Murano hand blown Sommerso cobalt blue and light blue Italian art glass bowl. Documented to designer Alfredo Barbini, circa 1950-60s. 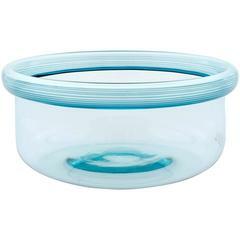 Measures 6” across x 2 1/2” tall. 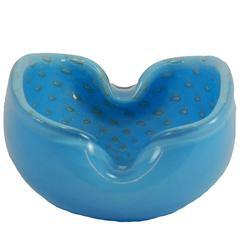 Mid-Century Murano glass ashtray by Barbini. Robins egg blue with all-over bullicante (controlled bubbles) and gold flecks.